Feb. 21, 2013, 9:49 a.m.
Will The New York Times Co., in a final act of stewardship, take less money for the Globe if it means selling to a buyer who’ll keep its journalism strong? By Ken Doctor @kdoctor Feb. 21, 2013, 9:49 a.m.
Make more room for the great metro sell-off of 2013. With the unsurprising news that The New York Times Company is trying, once again, to part with The Boston Globe, we see the start of a wave of likely change in metro newspaper ownership across the United States. When the Globe changes hands, and when Tribune puts its metros on the block, readers in Boston, Baltimore, Chicago, Los Angeles, Hartford, Orlando and South Florida will all see change. They’ll join readers in Tampa, Chicago, Orange County, San Diego, and Philadelphia, who have had new owners take over the local presses recently. Add in readers in Denver and Seattle, who lost one of their two papers completely. It’s astounding, really. The Globe sale, first reported by Bloomberg’s Edmund Lee and Jeffrey McCracken and immediately confirmed by the Times, is the next logical step in The New York Times’ global aspirations. Over the years, the Times Co. has sold its regional newspaper group), its digital standalones (About.com and more), its classical music station, and even its share in the Red Sox. It’s even sold off most of its own flagship building. All those sales have done two things. First, they improved the company’s balance sheet. The serial infusions mean the company now has more cash than debt for the first time in a while. Second, they allow management to focus exclusively on The New York Times. Jettisoning all the other businesses has meant that management could focus on its singular global brand. By 2012, the Times had grown to 80 percent of company revenues, with the Globe (and the New England Media Group, which it dominates) contributing the other 20 percent. Selling the Globe is simply the last step in the process of the Times’ focus on its global opportunity. The arrival of new CEO Mark Thompson likely had little to do with the decision; though he recently visited the Globe to meet and greet, figure that his role in the Globe decision was one of ratification. His strategy, some details of which will be announced in coming weeks, is all about monetizing the Times’ global audience. Given that, and the fact that the Globe has been financially underperforming the Times, makes the decision to put the property on the market a fairly easy one. The Times outgrew New York over the decades by starting home delivery across the country; now more than half of its papers are delivered outside New York metro. What was once a national opportunity is now a global one, and that’s led to the company’s all-in bet. It will live or die, as a company, as The New York Times. All of that leaves The Boston Globe in a familiar pickle. It’s not global, even though some of its reporting has reached out globally. It’s a metro, and it has suffered along with the rest of its metro peers (“The newsonomics of Tribune’s metro agony”). That means likely ad losses of another 8 percent or so this year, even with a little digital ad growth. Unlike its big brother (“The newsonomics of the zero and The New York Times”), its all-access digital circulation growth hasn’t made up for those ad declines. 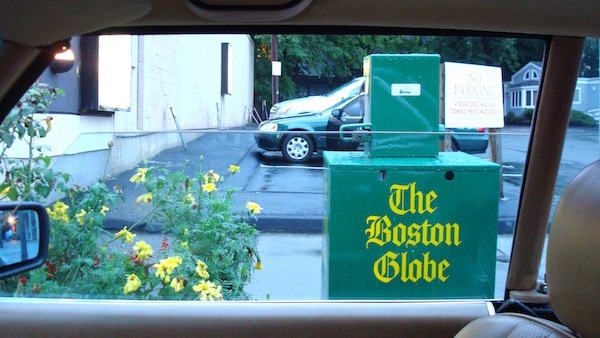 For 2012, the Globe was down about 2 percent in circulation revenues and the same overall. The Globe, then, is neither a contributor to the Times’ global vision nor to its bottom line. NYT Co. doesn’t break out the profit of the Globe’s New England group, which includes the Worcester Telegram & Gazette. We can figure it may be about 15 percent of the Times’ 2012 overall operating income of $133 million. That would mean about $20 million a year. Which takes us to the juicier questions: Who might want the Globe, and how much is it worth? We can figure the Globe group will go for $100-$150 million, assuming its pension obligations aren’t part of the deal. That’s 4-5x those annual profits. The price also fits another sad metric: Metro newspaper properties are today worth about a tenth of what they were worth at their height. So, for the Globe, that’s $1.1 billion 20 years ago, and maybe $110 million today. Newsrooms may have suffered a 30-50 percent decline in numbers, but the newspapers themselves itself have lost 90 percent of market value. The Taylor family, which sold the paper to the Times Co., has been interested in the past, as recently as 2009, when the recession and those pesky pension obligations scuttled the company’s attempt to unload the Globe. Aaron Kushner and his 2100 Trust Group, which last year bought the Orange County Register and now are merrily remaking and upgrading it. Kushner has already made a public play for the Tribune papers, possibly as a group, or at least the Register’s neighbor, the L.A. Times. Kushner was rebuffed by NYT Co. in an earlier auction. Now the Bostonian (with work experience at Boston Consulting Group and degrees that may be Globe-useful from Stanford in economics and organizational analysis) may be old enough, turning 40 soon, to merit consideration. 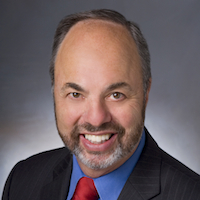 Innovative top leadership: Publisher Chris Mayer is a rarity. He’s a savvy modern publisher, digitally aware. His tech background distinguishes him in the publishing trade. For instance, the Globe’s embrace of news-anywhere publishing, enabled both by its installation of an Eidos publishing system and its early adoption of responsive design, has displayed industry leadership. At the same time, Mayer put together a deal to print the rival Boston Herald, making his “other” revenue a star performer in 2012. Such printing in-sourcing has been embraced by industry leaders as a strategy going forward. Most importantly, Mayer takes a wider view — both in business strategy and civic impact — on how the Globe can help create a next-wave digital Boston. Most publicly, we see the Globe’s unique application for ICANN’s new top-level designations, as it has applied for control of .boston. “Those that won in the first stage of the Internet,” he told me recently, speaking of Google, Facebook, and Apple, “have all organized the chaos.” Mayer’s view: A contemporary news company can be that organizer on a metro level, creating a digital order and feeding the journalistic mission at the same time. All-access/digital circulation innovation: Mayer has recently been in media, as the debate about its digital circulation strategy grows. The Globe ended 2012 with 28,000 digital-only subscribers, and we’ve seen some parsing of that number. It may seem low, but I haven’t heard of many metros with more; most aren’t disclosing numbers at all. I like to use my 3 percent metric here. The New York Times, poster child of the paywall, gets about 2 percent of its U.S. unique visitors to pay for digital-only subs, or 640,000 of 32 million uniques. It’s on the road to 3 percent, or 900,000 to 1 million. The Globe’s arithmetic is a little tougher because it meets the public with two sites. BostonGlobe.com is the newspaper’s full content; Boston.com is the long-standing city brand. Combined, they do about 7 million unique visitors. Let’s take out half that number, given that Boston.com’s city site nature exceeds its “news audience.” Let’s take 3 percent of the resulting 3.5 million monthly unique visitors, and we get 105,000. That, I think, is a reasonable target for the Globe. At 28,000, it’s just under 1 percent — not bad, but not great — for its first year of paywall operation. Consider it a strong beginning, with lots of upside potential. A robust newsroom of 365: While reduced from its height, the Globe’s staff hasn’t been hollowed out as many of its peers have been. Editor Brian McGrory just took on the top job, as longtime editor Marty Baron popped out of the Globe’s financial frying pan into the simmer pot of the Washington Post, replacing Marcus Brauchli as executive editor. The Globe has maintained its stake in “accountability journalism,” and McGrory pledges further investment in it — now, of course, depending on new owners. It is beginning to master multimedia journalism, with work such as its 68 Blocks series. The revenue numbers: Despite its pricing up of home delivery subscriptions by as much as 60 percent and shiny new digital-only sales, the Globe didn’t manage to do what some of its peers are pulling: having circulation revenue increase match ad decrease. It’s troubling that the new circulation programs haven’t offset that 8 percent ad loss. The untangling of the expenses: As the Times and the Globe have moved to make their enterprises as efficient as possible in the great newspaper downturn, they’ve integrated many “back-office” processes. Any new standalone buyer of the Globe will have to disentangle those Times production, finance, and HR efficiencies — and that means new expenses. Betting on a future of growth, not loss: Even with all the efforts of the Globe, it ended last year down 2.5 percent in overall revenue. That weakness makes one wonder how stable its 2013-2016 revenues will be, even if the Globe’s buyers gets a good deal going in. What’s needed: deeper pockets, the kind Warren Buffett has and Aaron Kushner is digging into a bit in Santa Ana. The best Globe buyer owns a cash cushion, both for targeted investment and as an absorber against transformation shocks to come. Make no mistake: 2013, as your friendly newspaper realtors would tell you, is a great time to sell. The last 18 months have seen the greatest volume of deals in the last five years. And, why not: There’s a mildly up economy, all-access is bolstering revenue optimism, and heck, the Oracle himself, Warren Buffett, is buying newspapers by the dozen. The only problem for sellers is that prices haven’t moved much up. The newspaper market looks a lot like the nation’s housing markets: There’s a better balance of buyers and sellers, yes, but prices haven’t picked up much from their bottoms. Still, for the Times Company, it’s time to let its impressive little brother go. That big brother/little brother relationships has, of course, rankled Globe people over the years, ever since the Times Company paid $1.1 billion for the Globe in 1993. Yet, if you had to have an at-times overbearing big brother, you’d want one that had similar values. (We’ll defer comparisons to the Chicago Tribune and Tribune Company/Los Angeles Times relationship, which often has seemed more like a journalistic Hatfields and McCoys dramedy.) New York, through richer and poorer, has largely supported the Globe’s journalistic mission. At the Globe today, you have to wonder who the new parent will be. That, of course, is a question square in the court of New York. How much will the Times Co. — which has been a good steward of impressive Boston journalism — use civic interest as a filter in its consideration of buyers? Dollars are dollars; it’s easy to pick the top bidder. It the payout were a little lower from a buyer showing the values and wherewithal to maintain the Globe’s public service mission, would the Times Co. opt for it? We can hope so. It would be its final act of Boston Globe stewardship, one the good citizens of one of America’s first cities will well appreciate. Photo by Wayne Marshall used under a Creative Commons license. POSTED Feb. 21, 2013, 9:49 a.m. Doctor, Ken. "The newsonomics of The Boston Globe’s sale." Nieman Journalism Lab. Nieman Foundation for Journalism at Harvard, 21 Feb. 2013. Web. 22 Apr. 2019. Doctor, Ken. "The newsonomics of The Boston Globe’s sale." Nieman Journalism Lab. Last modified February 21, 2013. Accessed April 22, 2019. https://www.niemanlab.org/2013/02/the-newsonomics-of-the-boston-globes-sale/.